After stumbling up his neighbor's dog, Wellington, impaled on a garden fork and being blamed for the killing, fifteen-year-old Christopher John Francis Boone, an autistic savant obsessed with Sherlock Holmes, decides to track down the real killer and turns to his detective hero to help him with the investigation, which brings him face to face with a family crisis. A first novel. Amazon.com description: Product Description: Christopher John Francis Boone knows all the countries of the world and their capitals and every prime number up to 7,057. He relates well to animals but has no understanding of human emotions. He cannot stand to be touched. Although gifted with a superbly logical brain, Christopher is autistic. Everyday interactions and admonishments have little meaning for him. Routine, order and predictability shelter him from the messy, wider world. Then, at fifteen, Christopherâs carefully constructed world falls apart when he finds his neighborâs dog, Wellington, impaled on a garden fork, and he is initially blamed for the killing. Christopher decides that he will track down the real killer and turns to his favorite fictional character, the impeccably logical Sherlock Holmes, for inspiration. But the investigation leads him down some unexpected paths and ultimately brings him face to face with the dissolution of his parentsâ marriage. As he tries to deal with the crisis within his own family, we are drawn into the workings of Christopherâs mind. And herein lies the key to the brilliance of Mark Haddonâs choice of narrator: The most wrenching of emotional moments are chronicled by a boy who cannot fathom emotion. The effect is dazzling, making for a novel that is deeply funny, poignant, and fascinating in its portrayal of a person whose curse and blessing is a mind that perceives the world literally. About: Despite his overwhelming fear of interacting with people, Christopher, a mathematically-gifted, autistic fifteen-year-old boy, decides to investigate the murder of a neighbor's dog and uncovers secret information about his mother. About: Christopher is 15 and has Asperger's Syndrome, a form of autism. About: THE BESTSELLING NOVELTHE AWARD-WINNING LONDON THEATRICAL SENSATIONNOW ON BROADWAYMORE THAN 5 MILLION COPIES SOLDChristopher John Francis Boone knows all the countries of the world and their capitals and every prime number up to 7,057. With Simon Stephens (other contributor), Ruth Moore (other contributor), Paul Bunyan (other contributor) | Reprint edition from A & C Black (June 20, 2013); titled "The Curious Incident of the Dog in the Night-Time: The Play"
About: This schools' edition of Mark Haddon's multi-award-winning novel adapted for the stage of the National Theatre by Simon Stephens is perfect for Key Stages 3 and 4. About: Christopher is 15 and lives in Swindon with his father. About: Christopher John Francis Boone knows all the countries of the world and their capitals and every prime number up to 7,057. About: Despite his overwhelming fear of interacting with people, Christopher, a mathematically-gifted, autistic boy, decides to investigate the murder of a neighbor's dog and uncovers secret information about his mother. About: A murder mystery like no other, this novel features Christopher Boone, a 15 year-old who suffers from Asperger's syndrome. 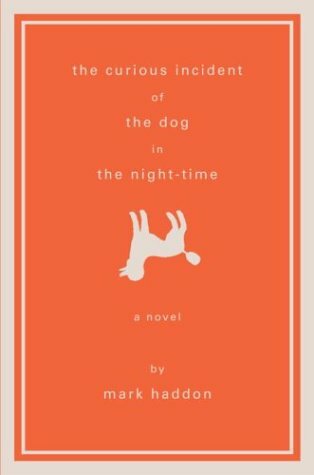 About: The Curious Incident of the Dog in the Night-Time is a murder mystery novel like no other. from Turtleback Books (May 18, 2004); titled "Curious Incident of the Dog in the Night-time"